I mean, seriously, these plants GROW! They clearly are the top in their class and need no help from us to flourish. And not only are they really the best at growing vigorously, they are the best at harnessing nutrients and making them available to us. That whole thing about the narrowing of our food system to those forty or so vegetables you will find at our market booth or at the supermarket brings with it a two-fold problem, the first being this limited variety of foods we now eat. But the other, more serious problem is that in the process of really cultivating these certain crops from spindly, wild, weeds into the nice, big, tasty vegetables we eat today, we lost, in comparison, the amount of nutrition we get from doing the right thing and eating all of our veggies. I, for one, don’t get too hung up on this. The fact is, we are where we are in history, and we can’t go back, we can only go forward. That is what we try to do here on the farm. And I also know from our own experience that not all of the wild edibles we have played around with eating can qualify as much more than survival food. They just aren’t that exciting. 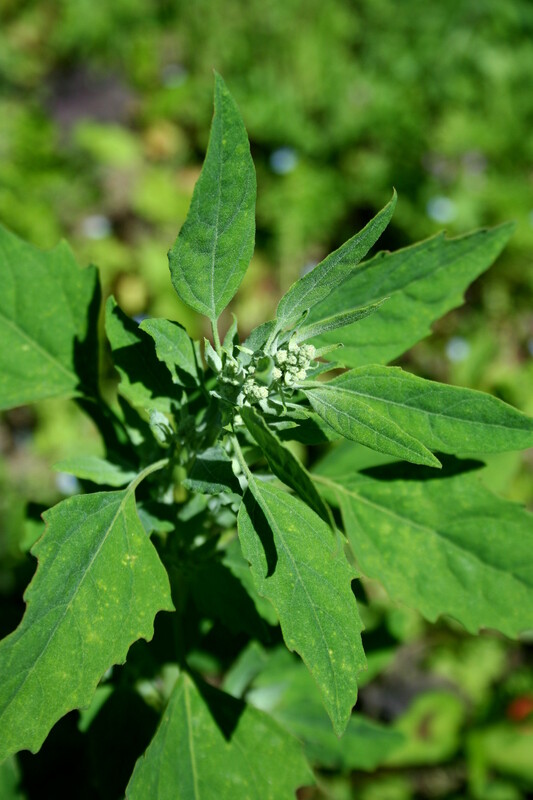 Still, I appreciate the wisdom of “weeds”, and have come to love and use many of them for both their taste and their nutritive/healing properties. That strong, earthy taste you get from nettles and lamb’s quarters (bottom photo) is the taste, literally, of earth. Those plants are just made of minerals. And much like the vegetables we grow, which I see as both the best tasting foods for our plates and as important elements of our heath and well-being (hello my delicious daily vitamins! 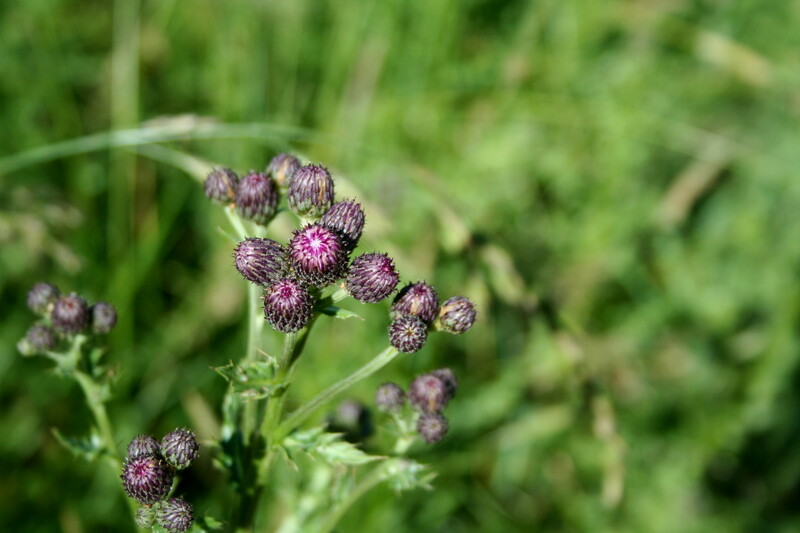 ), some weeds are like this times one hundred. Take the weeds I put in a jar of vinegar many weeks ago, to have on hand as a potent calcium supplement. Most of these things I was weeding out of my landscape beds already, like yellow dock, plantain, red clover, dandelion, and burdock. Others were from my herb garden, all of them planted last fall, so just itching to be put to use–Japanese mugwort, comfrey, wormwood. I threw in some raspberry leaf. I was given the idea by a friend, and it seemed like such a good use for these plentiful plants. What ended up as a surprise, though, was that this vinegar, which I made to use medicinally ended up tasting amazing. It is absolutely delicious. We use it to make all of our salad dressings now. Who knew, right?! So as I weeded the seemingly monstrous invasion of some kind of amaranth in a section of one our fields this week, my joke was that the weed business was, truly, the business to be in. 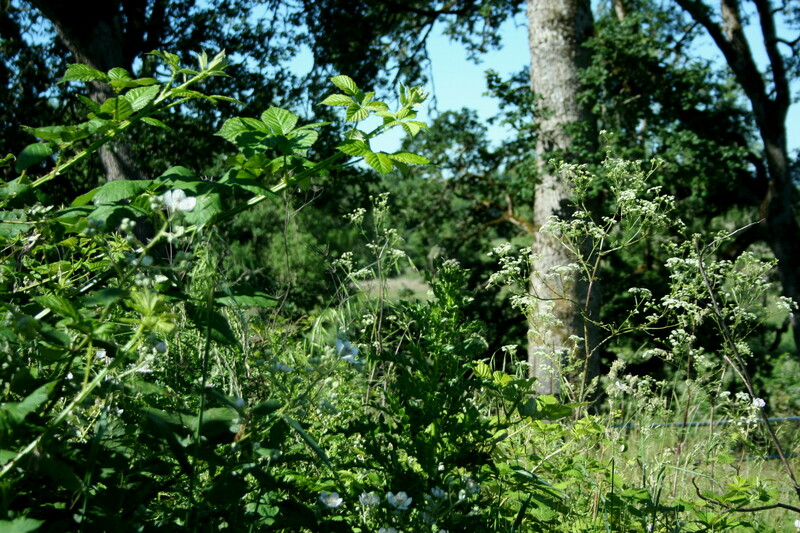 And joke, though it was, we are almost ready to harvest one of the only other wild edibles besides nettles that we bring to market next week, its relative, lamb’s quarters. It is, right now, a love/hate relationship. Still, this subject has always fascinated me. 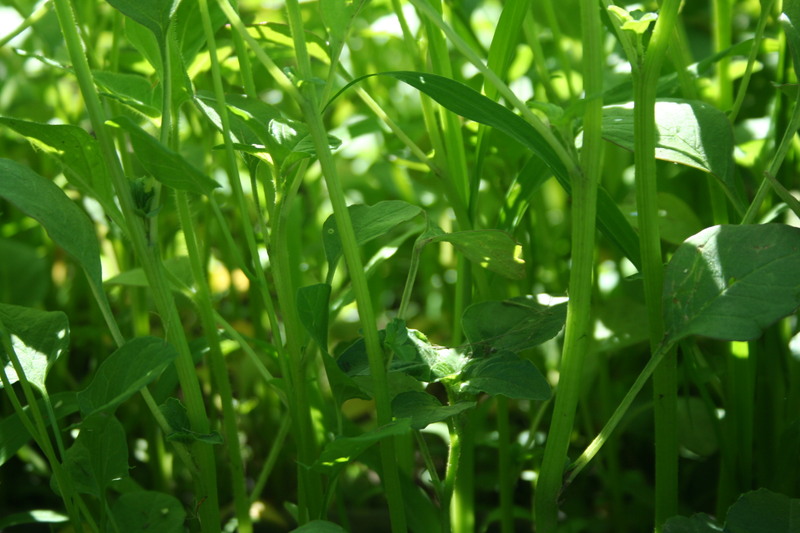 One of our goals on this farm is to nourish our land so that it can produce the most nourishing food possible. 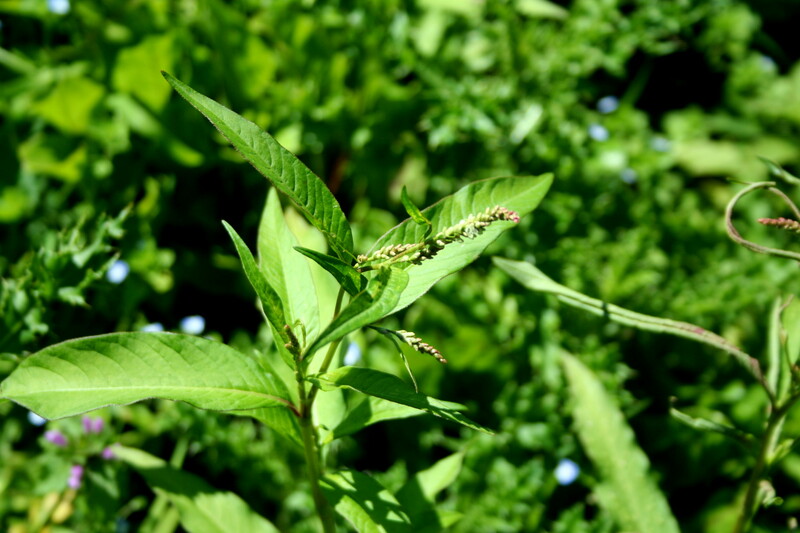 But that the wild edible plants–the weeds–will always have be more nourishing fascinates me. It also, thankfully, gives me a chance to pause and appreciate that in this somewhat constant glitch in of our system, the weeds, I can see the amazing beauty and design that is the natural world. It reminds me that we, as land stewards and sustainable farmers, can utilize and mimic it, even if it is something we can’t fully recreate. Because, in the end, we weeded like crazy this week. 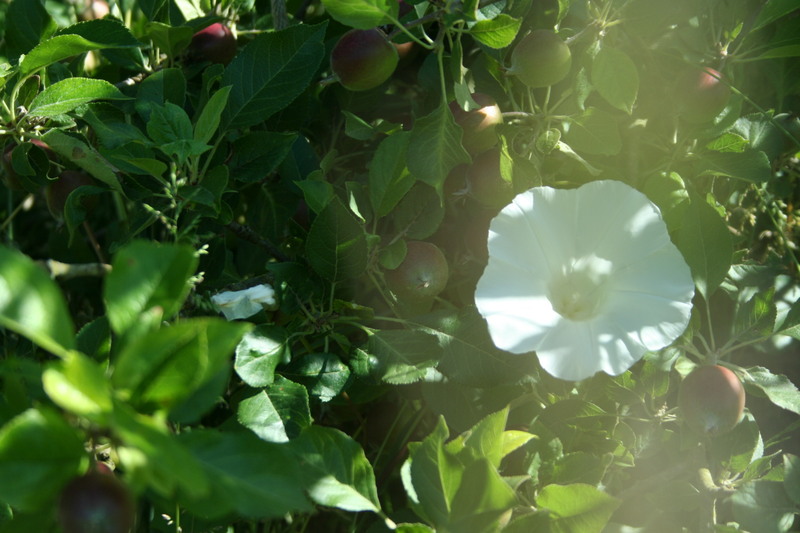 We have our own agenda, and as pretty as those bindweed flowers are, that we have let them bloom is not great. That they are climbing up our sweet, modern apple trees is not great. They are not welcome here, on this farm. At least in our fields. And the agricultural mind has to feel this way, has to do this, even if we, on this farm, aim more for balance than anything. The shifting and shaping of things towards our will is a part of farming. We are amplifying what we what from any given piece of land, in terms of yield, by a lot. We are doing the dictating. So, some weeds, yes, we will take and use. This is an area that I really do want to learn as much as I can about. But, good lord, some of these weeds, though I appreciate them for their tenacity, their demise is the first thing I think about when I wake up. There is much weeding to be done, always, at this time of year. We have to work more than it seems like we have time to right now to get where we need to be. But soon, the tiny plants we’ve put in the ground will be the vigorously growing ones, blooming. And then, producing, wildly! That they need a little help from us now is just part of the bargain we’ve struck with them. The agreement of cultivation. Of growing food. And this has its own sense of beauty and design, even if its one best kept to by some really hard work on our part. We keep our end of the bargain sewed to the seams of our dirty pants, our well worn, tired, and exhausted bodies, and our scratched and soar hands. It evens out in the end, and I think this approach is a good balance for our times. It’s our kind of growing wild. Thank you, this is so very sweet! I apologize for not getting back to you sooner. I love that you are here sharing this story with me and feel a little bad that people are getting to know me right as I get so busy on the farm that I have less time to write 🙂 Thanks again! I don’t always follow through with the posts on these awards, but I want you to know that I truly do appreciate the sentiment, truly!!! My pleasure. I just wanted you to know how much I enjoy your blog!